Xiaomi is one of the largest smartphone vendors globally — among the top five — but it’s mostly dominant in China and India. The company has launched a number of devices carrying competitive price tags and decent specifications on board, but with Android as their operating system. However, it seems the things may change in the near future. Last year, the Chinese company partnered with Microsoft to develop a Windows 10 Mobile ROM for its flagship Xiaomi Mi4 smartphone. The ROM is already available for the LTE version of the handset. 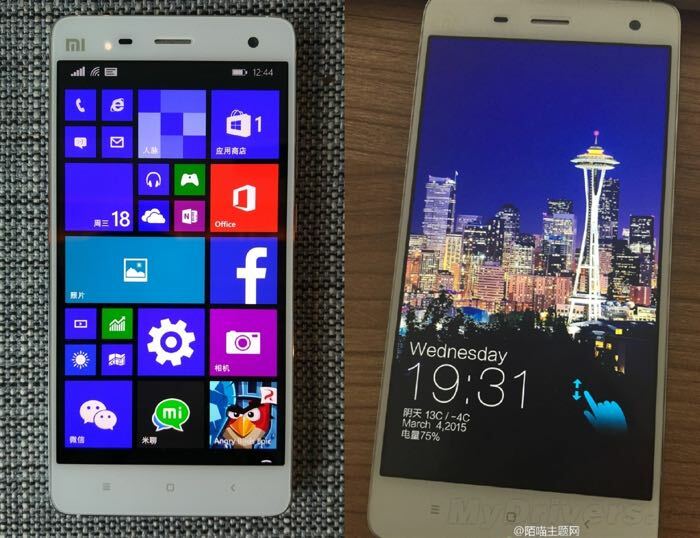 According to a new rumor surfacing from Chinese shores, Xiaomi is expected to launch a Windows 10 Mobile powered variant of their upcoming flagship device, the Xiaomi Mi 5, at the Mobile World Congress 2016 later this month (via GizmoChina). We’ve heard several times about the launch of the purported Xiaomi Mi 5 in the past, but all the rumors pointed towards Android as its operating system. The report further mentions that the Windows 10 Mobile variant will offer the same specifications as its Android counterpart so it’s going to be a pretty decent addition to the Windows Phone line up, provided they also introduce it in global markets. Mobile World Congress 2016 is set to take place in Barcelona later this month.